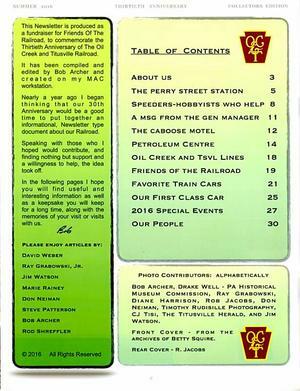 of our volunteers and employees contributed articles and photos. Available at Perry Street Station's Gift Shop. Or you can order one today and have it mailed to you. Call us at 814-676-1733. 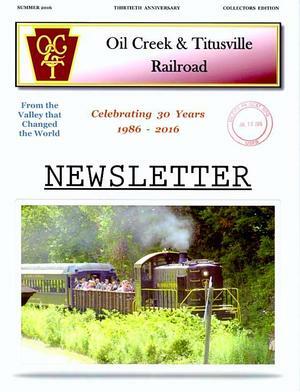 Contents © 2019 Oil Creek & Titusville Railroad • Site Provided By: Day One Web, Inc.